If you had the opportunity to get a better degree from your very own home while still maintaining a full-time work schedule, would you take it? More students are being given the opportunity to advance their quality of education through degree advancement programs. Convenient online degree programs are becoming the norm for upcoming college students as well as seasoned professionals. In the medical field, professionals may a tremendous growth in the availability of services, technologies, and possibilities in the years to come. With this growth, experienced professionals may be needed to assist with the implementation of these technologies for patient health and wellness. If you hold certification and licensure as a registered nurse, but want to pursue even greater endeavors throughout your career, accelerated online RN to MSN programs could be right for you. These programs can envelop the skills and knowledge required to be an effective nursing professional as well as a management candidate. The convenience of these programs makes them suitable for busy working professionals, new college students, or even individuals with an active family life. 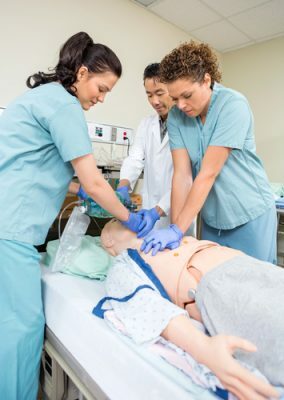 Regardless of where you stand within these groups, these online accelerated programs can be a great way for you to learn new skills and pursue better opportunities in the field of nursing. What is an Accelerated RN to MSN degree? RNs that are currently working in the field have been subjected to widespread change within their field. The changes that have taken place have made it harder to associate’s degree earners or nursing certificate achievers to obtain higher positions within their field. In recent years, national regulations pertaining to professionas nurses has made the BSN the minimum degree for licensure, which has changed the way the some health care facilities view nurses at lower degree levels. In response to this change, more RNs are finding it necessary to get up to date in their education through degree advancement programs online. These online programs are innovative, time-saving, and relevant to the field of nursing. The accelerated online RN to MSN degree program was designed to provide students with the opportunity to obtain their Bachelor of Science in Nursing and Master of Science in Nursing within 1 program. Students first move through their BSN coursework, earn their BSN, then continue on through MSN coursework. The convenience of this program allows for working RNs to take part in a program that can get them up to date with nation requirements and set them on track for more attractive nursing positions all at once. This program includes the primary components of nursing practice, as well as topics in management, informatics, problem solving, and business finance. The accelerated nature of this program can allow you to complete the entire program in much less time than typical BSN and MSN programs. Since it was designed for busy working professionals, the estimated completion time for these programs is around 2 years. This amount can change depending on whether or not you choose to take any specialized paths, such as for advance nursing practice or specialized nursing degrees. Courses for the accelerated online RN to MSN program were created in an effort to turn what students already know into a higher understanding of nursing practice. Most MSN programs require that applicants already have a valid nursing licensure prior to enrolling, so that they have the experience and expertise needed to jump right in to the material. Depending on what you choose to specialize in, you may find that the curriculum changes significantly within each discipline. Some advanced practice degree programs include core classes that are specific to patient care, anesthesia, management, or even maternity care. Our team of education experts has browsed some of the more popular accelerated online RN to MSN programs to provide you with some common courses that are found within each degree program. The curriculum for these programs includes some of the important topics associated with master’s level career, including management, finance, and organizational structure. These courses provide a basic understanding of how the field of nursing functions from an organizational point of view, and can give students more knowledge into the actual functioning of health care providing agencies. Below this section, you can review these courses in order to get a good idea of the coursework you may be responsible for once being approved into the program. Health Policy and Social Issues: This course can teach students how to properly analyze current public health policies and address issues within the healthcare sector. Policy design, implementation, and review are reviewed within this course. The importance of policy design in effectiveness may also be discussed. 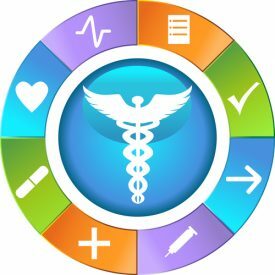 : Students taking this course can learn the different techniques and applications of health assessments throughout the human lifespan. Diagnostic reasoning and data assessment are highlighted throughout this course, as well as the different methods for patients of varying ages, cultures, and backgrounds. Advanced Nursing Theory: Using historical and current context, students can learn to analyze their nursing knowledge throughout this course. An in-depth look at the changing theories of nursing practice may take place within this course, providing students with a foundation of knowledge for improving current practice. Nursing Management: The various components for effective management in the nursing field may be discussed throughout this course. Leadership skills, time-management skills, ethics, and laws are primary topics that students can take part in throughout. Health Informatics: The changing technologies of healthcare systems promote better information handling and insurance processing for hospitals and healthcare centers. Students in this course can learn how to properly collect and transmit data through information systems, as well as understand the fundamentals of nursing technologies. Healthcare Finance: Students in this course may be introduced to the various financial inner workings of hospitals and healthcare centers. Purchases, wages, and facility expenses may be explained throughout this course, as well as the budgeting system and healthcare tax reporting. How much does an Accelerated RN to MSN degree cost? When you make the decision to move into an accelerated online RN to MSN degree program, take the time to look further into the degree programs you are considering. You can sometimes save yourself quite a bit of money and hassle by choosing from degree programs that are more affordable and charge less in fees. Online accelerated programs are available all over the country, due to the demand for higher level nurses from hospitals and medical facilities. Some universities offer all students the same tuition rates, while others may charge out-of-state students a higher tuition rate due to the high number of applicants. When searching for the right university, you may find that some universities charge lower tuition but more fees – or possible the opposite. Our team has taken a look at a few popular schools offering these online programs so that you can see an example of the price variations between colleges. The University of North Alabama offers an online accelerated RN to MSN program to eligible applicants. The tuition rate for this school is $3,324 per semester (12 credit hours) and fees include non-resident fees of $277 per credit hour, health, activity, technology, and distance learning charges which are charged per credit hour. Loyola University Chicago charges students $646 per credit hour, but has a lower number of fees, including a technology, course, lab, and counseling service fee. Lastly, Maryville University has a flat tuition rate of $10,550 per semester and charges fees for technology and student activities. As you can see, doing your research could possibly save you a lot of money when choosing online degree programs. Choosing to pursue a master’s level degree can have added benefits in terms of employment. If you work hard towards advancing your skills in the field of nursing, you may find opportunities that were not obvious at the start of your journey. When you are working towards your MSN, you may be given the option to choose a specialty for your degree. There are a number of different areas in which you can expand your knowledge, some of which have their own practical capabilities in the field. In order to provide you with the best information, our team has gathered some of the common career titles for master’s level nurses and listed them below for you to review. Nurse administrators can be the leaders of a nursing team. These professionals provide guidance and management to a team of nurses and are required to have an advanced degree in nursing and significant experience working in the field. This field involves the direct care and treatment of patients in a medical setting. If you work in this field, you can diagnose, treat, and help patients prevent illness. NPs also have the ability to prescribe medication and conduct minor non-invasive procedures in-office. Nurses in this specialty are responsible for the care of patients before, during, and after surgical procedures. They are responsible for making sure that patients are fit for anesthesia, as well as administering the medication, and monitoring progress. Nurse midwives care for women that are entering, within, or leaving childbearing ages. These professionals are in charge of the labor and delivery process and provide care to mothers and infants after birth. Nurse educators are instructors for upcoming nursing professionals. These educators typically work in colleges or education facilities that offer nursing degrees. Nurse educators work hard to teach the fundamentals of nursing practice to student nurses. A major part of finishing your journey towards better nursing opportunities is completing the licensing and certification process. For BSN level graduates, the licensing process involves applying for licensure, providing documentation of education, and successfully passing the NCLEX-RN exam. At the master’s level, the licensure and certification process can be slightly more in depth than standard nursing certifications – especially for learners that have chosen specializations. At the master’s level, it is common for students to choose a track for their degree program, such as Nurse Midwifery, Nurse Practitioner, or Nursing Administration. These specializations are more practical in nature and require more training and certification prior to practicing. For example, MSN earners that have specialized in Family Nurse Practice or Anesthesia must complete the the licensure application within their state, then apply for certification within their earned specialty. Depending on where you reside, the certification process can be different than in other states. Generically, the process involves submitting copies of your diploma, transcripts, proof of experience, letters of recommendation, and proof of completion of the NCLEX-RN exam. Although the field of nursing is highly diverse and can provide a tremendous amount of opportunity at the basic level, learners are discovering that the master’s level is a world all of its own. At the master’s level, you could have your own set of patients that you see regularly, an entire staff that looks to your for guidance, or even a classroom of students that trust in you to provide them with the information they need to succeed. Online accelerated RN to MSN programs can get you started on your path to becoming a knowledgeable and reliable professional. Take the time to research your opportunities and pick the school that fits what you need as an individual. There is no better time than now to pursue a degree that can provide for a lifetime.